G. Arlene Newswanger, 91, of Providence Place, Pine Grove, passed away peacefully on Sunday, March 31, 2019 at Providence Place. She was a loving wife, mother, grandmother and great grandmother. Born on September 24, 1927 in Schoeneck, Lancaster Co, she was a daughter of the late Eli and Elizabeth Martin Gehman and step daughter of the late Mary Musser Gehman. Arlene and late husband Amos moved to Pine Grove from Stevens, Lancaster Co. in 1953 and farmed until 1970. She supported Amos in his bus business, and was instrumental in keeping all of the buses clean and ready for trips. Arlene worked in the Pine Grove High School and Middle School cafeteria washing dishes for many years. She enjoyed reading, crocheting and sewing, but her first love was playing board games with her grandchildren. Arlene and her late husband Amos were founding members of the Roedersville Mennonite Church, Pine Grove. 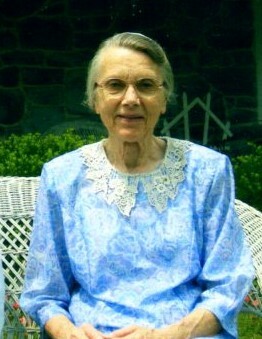 She was active as a Sunday School teacher for many years, and was also involved in the church Sewing Circle. Preceding her in death were her husband of 68 years Amos Newswanger, Jr.; grandson Matthew Newswanger; sister Lucile Gehman; brother, James Robert Gehman, a brother who passed in infancy. Surviving are four sons, Barry and wife Kathie Newswanger, Jerry Newswanger, Clair and wife Debra Newswanger, all of Pine Grove, Fred and wife Megan Newswanger of Hyde Park, NY; daughter Linda and husband Carl Driedger of Willow St.; 15 grandchildren, 24 great grandchildren and two on the way. Funeral Services will be held on Saturday, April 6, 2019 at 11:00 A.M. at the Schuylkill Church of the Brethren, 347 Sweet Arrow Lake Rd., Pine Grove with Pastor Daryl Martin officiating. There will be a viewing on Saturday, April 6, 2019 from 9:00 A.M. until 11:00 A.M. at the Church. Interment will follow in Roedersville Mennonite Cemetery, Pine Grove. In lieu of flowers, the family would prefer contributions be made to the Roedersville Mennonite Church Benevolence Fund, c/o Jean Hurst, 1085 Rock Rd., Schuylkill Haven, Pa. 17972 or Hospice of Central Pa, 1320 Linglestown Rd., Harrisburg, Pa. 17110 in her memory.